25 years and still married - quite an achievement in anyone's book, and a mighty good reason to have a monumental celebration. This once-in-a-lifetime event demonstrates your commitment to each other, and your long-lasting love. Reaching the milestone of a quarter of a century is definitely worthy of some jubilation and jollification. The theme for a 25th wedding anniversary is silver, so buying or making anything silver is certainly the order of the day. Modern-day living is not the kindest of bedfellows when it comes to marriage, and the sad fact is that as many as half of these unions end up in divorce. If you’ve found your way to this page then it’s pretty certain that you know someone, or are one of the fortunate few who have successfully made the journey, and the good news is that we can offer you the chance to purchase the perfect silver wedding anniversary gift; but of course, you don’t have to take our word for this bold statement. 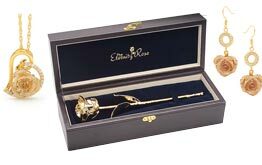 We have made countless customers happy with the gift of an Eternity Rose. The silver-dipped natural roses are especially fitting for a silver wedding anniversary, and you can purchase them here. They also make a wonderful wedding gift to the bride and groom, or from the groom to the bride. 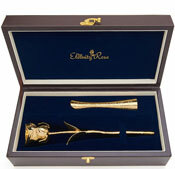 See our section on wedding gift ideas. When it comes to choosing a silver anniversary gift, a common thread that runs through the comments received from our satisfied customers is that silver anniversary presents have become rather boring, with the same old fare offered up by countless shopping channels. They have come to our website because they’re looking for something different; a gift that will take pride of place in any home. The usual silver wedding gifts such as silver tankards, glasses, rings, plates and picture frames often find themselves relegated to the back of a cupboard, or stored where no one will see them. This is not so with an Eternity Rose. Its timeless beauty and elegance will ensure it receives a special place in the hearts and homes of those who receive them. Roses have been given as a symbol of undying love and affection for literally thousands of years. But these exquisite blooms very quickly fade. 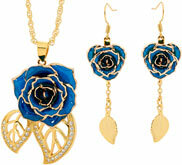 This is not so with an Eternity Rose - its elegance and dazzling beauty lasts for an eternity. We hand pick each natural bloom before treating it to a special 60-step process that coats the flower with pure silver. 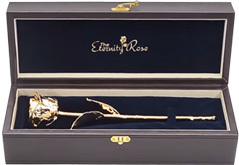 The rose is presented in a leather display case, making it the perfect piece to be on show, and such an everlasting gift is handed down to future generations. You can read more about the tradition of anniversary gift giving here. When thinking about a silver wedding gift you might want to stay with the traditional, or steer towards gifts associated with the 25th wedding anniversary flower, which is the iris. For example, floral themed gifts involving the iris include an art print, iris-scented products such as candles or perfume, an iris plant, or a bouquet of iris flowers. Are you and your significant other about to celebrate your silver wedding anniversary? Are your long-suffering parents about to achieve the quarter century milestone? Or do you know a couple of cherished friends who have reached 25 years of marriage? Whichever of these categories you fall into, make sure the occasion doesn’t pass without some kind of celebration. It could take the form of a huge, extravagant party, a trip to somewhere exotic, or simply a quiet night in with a few select friends. There are plenty of ways to show your admiration, either for your partner, family member or friends who you are proud of. The important thing is to consider what the couple would like most and fit your plans in around their interests, style and personality. Some couples might be happy to be part of over-the-top festivities, with more guests than you could shake a stick at. Others would be completely overawed by this kind of event, and would be much more comfortable sharing the moment with one or two friends. Celebrating a wedding anniversary, whether it’s your first, 25th or 50th, helps to reinforce your commitment to each other, and adds freshness and love to your relationship. It’s not always easy for a person to choose the right present for their partner, but here are some thoughtful ideas that will truly show how much you care for your loved one. A romantic historic tour may be just the ticket for your spouse. Over time, many of your memories will have faded and lost their shine. On the day of your silver wedding anniversary, why not step back in time, and revisit some of those places that meant so much to you? Visit the place where you first met or where you went on the all-important first date. Or how about the spot where the marriage proposal took place? These should be memorable places and will rekindle those first emotions, bringing back the sweet taste of romance and first love. Add a touch of extra flavor by visiting a special restaurant, and partaking in a meaningful dish. Celebrating a silver wedding anniversary can be quite exciting, however, that excitement can be tinged with confusion about the best way to celebrate such an occasion. You want to do things right and make the day more memorable, but where do you start? 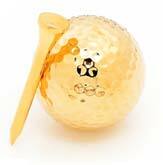 Just relax and we’ll help with a few ideas that will make any silver wedding anniversary a resounding success. When it comes to planning a party, you can be pretty sure that you or the honored couple are very proud of this achievement, and will want to share it with family and friends. But when you’re planning the guest list, don’t invite everyone you can possibly think of, just the people who mean the most. Make impeccable preparations and everything should go smoothly. 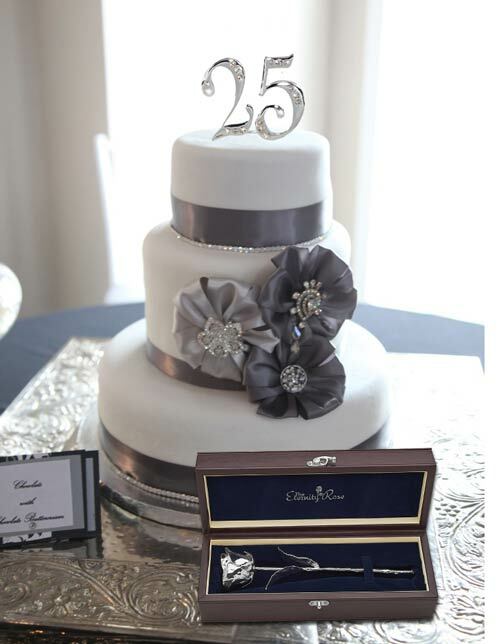 A silver wedding anniversary deserves some class and elegance, so do the best you can. Obviously there will be silver invites - there’s no argument about that. There are however, ways you could jazz up the invites, for example, adding a picture of the couple from 25 years ago on the back of the card. Maybe add a couple of swans or love birds to represent their eternal love. Everyone’s heard of rolling out the red carpet, but for this occasion, roll out one that’s colored silver. What a welcome for all the guests! Chocolates wrapped in silver paper could be handed out as they enter, and welcome drinks served in silverware glasses. At the entrance, there could be a flower arrangement of white and silver flowers (you can purchase silver spray paint for the flowers). Also at the entrance, place a book or large sheet of paper where guests can comment on their sentiments about the couple, and maybe share some of their memories and thoughts for the couple. Use silver drapes, balloons, ribbons and plenty of other silver decorations throughout the venue. Hang a big photo of the couple and surround it with silver and white balloons. All around the room, hang photos depicting the happy couple at various points in their relationship to show their journey through 25 years of marriage. When you’ve been married for 25 years, material things are no longer as important as they once were. A far more treasured gift will be words that come from the heart, or a special gesture that shows how much you love someone. You could arrange for a special song to be played or sung, or write some special words in a book, or draw/paint a special picture. A party isn’t a party if there’s no fun or entertainment. In addition to those emotional and nostalgic moments, it will be important to alter the mood of your party with some party games. Try and come up with two or three that couples can enjoy (eg, charades; “Who am I”). Music should also play an integral role in your party, and will help to keep the party spirit flowing; but don’t forget to have at least one romantic slow dance that can be started by the celebrating couple. There might be a tune that’s particularly memorable, or one that they both love to smooch to. At the end of the evening, it’s important to say thank you to all the guests for making the event so memorable. If your budget allows, give them a gift to take home. Wrap the gifts in silver paper to match the occasion. You could give a piece of silverware, silver coins, bottle of champagne or wine with a tied silver ribbon, or a silver box of dried fruits. 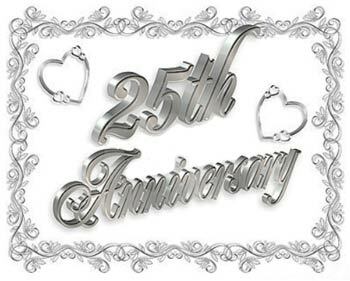 For a full range of other romantic and unique gift ideas to make a 25th silver wedding anniversary special, click here for a comprehensive list. Celebrity marriages aren’t renowned for enduring the distance, and in fact, some never make it past the first year. There are however, some high profile celebrity couples who have made it to a quarter of a century, and look all set to take it beyond. Billy and Janice Crystal - this funny man has kept his wife laughing for 42 years. Jerry Stiller and Ann Meara - this couple spent some of their married life as a stand-up comedy team in the 60s and 70s. Jerry has even written a book about their married life together, titled Married to Laughter: A Love Story Featuring Ann Meara. The couple have been married for 58 years. Samuel L Jackson and LaTanya Richardson - Samuel is one of the biggest grossing Hollywood actors, and the couple have been together for 32 years. In 2009 they set up their own charitable organization to help support education. If you’re celebrating your 25th wedding anniversary, we hope that it will be a memorable occasion, with many more years to come. Marriage is a union that grows over time, and involves adapting to new situations and never resting on your laurels. You've made it this far, so here’s wishing you all the best for the future. Happy Silver Wedding Anniversary from all of us at The Eternity Rose!